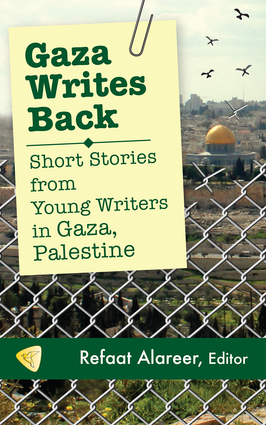 Gaza Writes Back is a compelling anthology of short stories from fifteen young writers in Gaza, members of a generation that has suffered immensely under Israel’s siege and blockade. Their experiences, especially during and following Israel’s 2008-2009 offensive known as “Operation Cast Lead”, have fundamentally impacted their lives and their writing. Their words take us into the homes and hearts of moms, dads, students, children, and elders striving to live lives of dignity, compassion, and meaning in one of the world’s most embattled communities. Readers will be moved by the struggles big and small that emerge from the well-crafted writing by these young people, and by the hope and courage that radiate from the authors’ biographies. Refaat Alareer is the co-editor of Gaza Unsilenced (2015) and the editor of Gaza Writes Back (2014). A native of Gaza City, he received his M.A. in Comparative Literature from the University College of London (UK) and is currently completing his Ph.D. in English Literature at the Universiti Putra Malaysia. Since 2007, he has taught world literature, comparative literature, and creative writing (fiction and non-fiction) at the Islamic University of Gaza.